Yet nothing to address the issues that have made this game unplayable. This will go down as yet another failed EA from a failed "studio." Sad. Can we at least get acknowledgement you have a plan for the low population issues and the elder abuse? 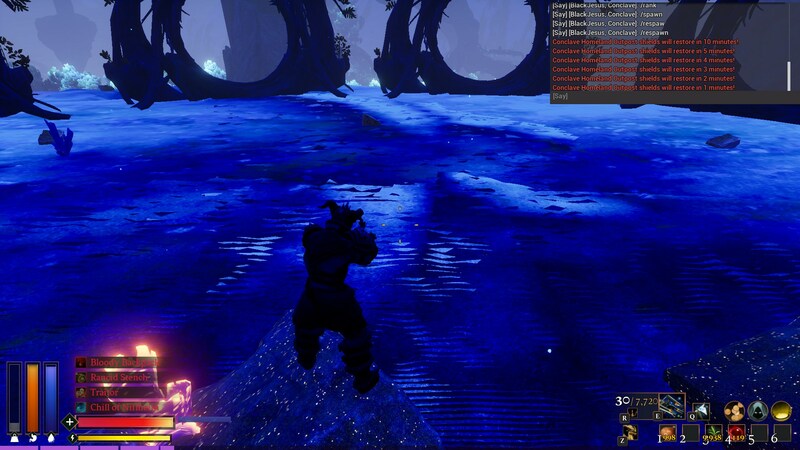 Please tell us, what are those "issues that have made this game unplayable" , because, just for a few crashes linked to the PC optimization (annoying when you're running on the field and you died far away when you re-connect) I have not seen such serious errors or bugs that turn REND unplayable. They are working really hard to fix the game and to add new features, if some of those bugs or errors don't have a fix yet, is because, maybe, they have not found any solution yet and they continue testing possible fixes before to launch a patch. Be patient guys...there are so many things to keep testing, be tolerant about some problems or bugs, don't be so mean call them a "studio". I agree completely and also hope they take some of the official servers down to match the player base. It would save them money and it would make for some more pvp. The one flaw I do see with this game though is that nobody like losing for a month. Fanbois are oblivious to the truth. How many complaints have been lobbied because of the "authentication ticket" issues? People aren't even able to log into any server. I think that would constitute the game being unplayable. Literally. @Darinth Well, last night i had reckoning, and, as i said you yesterday, it seems that the change is linked to the factions research and maybe, to the faction activity. In the faction of the server that i play, we are just 2 or 3 average online players, level 40 and T3 tools and walls, also, iron armor and the 54 HP bows and thornwood arrows, and, the reckoning was easier as it has been the last weeks (the server has 1 month of life), just two hordes of ghosts, they damage several sections of the external wall and destroyed two floors in a corner of the base. I was alone defending the attack and my bow needs two shoots to kill a ghosts. Thats my experience in that server, i will look this weekend in the other server that i play, when we have T4 tools and walls, and there are players +45 level and the best weapons and armor, i expected the reckoning will be harder, much more. I know whats game breaking. Its when you can't attack the faction bases and outposts due to siege weapons not being strong enough to get through players repairing and barely making a dent on granite walls. So are they going to fix the siege mechanics of bombs and siege balance? Reduce the amount of materials to make bombs because they're ridiculesly high. Fix Bomb AOE so they can damage everything instead of the foundation underneath the wall the players are trying to destroy. Make bombs not able to destroy each other so multiple can go off at ones. For balance, just add a delay timer when placing them so defenders have a chance to stop them. Buff bomb damage vs granite walls or allow us to get higher tier bombs that do more damage to destroy granite walls without ridicules resource costs to make. Maybe finish adding the other siege weapons. That would help a lot for those who get stuck playing a class that cant jump the walls. The turrets are broken btw. Lots to do. @Kirutian Have you tried restarting steam completely? that usually solves it for me. hmmm don't know if this is a bug but I got to end game and I made bombs to to test them out, I used a lot of them by now and I found myself losing and gaining reputation when using them(note: all bombs were used on ENEMY personal bases). The gains were minimum 0.2 , 0.1 so on ,but the lose of reputation was insane I was losing 1000+ reputation per bomb, now I'm a traitor .I noticed to late.Don't know if this is a bug or a feature to protect personal bases.Need clarification. And I saw a lot of problems with "authentication ticket" , that problem is caused by steam, when you log out of the game, you don't really log out, so what I do to fix the problem is close the game and open another steam game, that fixes the problem for me, sometimes I need to wait 2 min. Another problem I found was the creation of ammo from your crafting menu (not adventure table).if you have 10 000 thorn barbs and decide you want to make some darts you right click and craft all , that where the problem is you do that then the game freezes and gives an error something on line 175. The last tier forge(fiery forge?) is slow as tier 1 and you can only prepare 1 thing at a time in it. I could not get any sulfuric dust I tried right click and left click for 10 hours non stop, maybe it's because of the server I'm in. All the things above are tested on a unofficial server with rates or 30x. -More information about conjuring stones, at least in the research menu. -move lightning the way , totemic blessing and enchanted turrets to construction. -make foundation indestructible or give it a lot more hp ,its so sad to see an entire base collapse because they got your foundation. -please make it so chests don't disappear if the platform/foundation they are on gets destroyed , it simply makes 0 purpose to armored vaults or other stuff. I know whats game breaking. Its when you can't attack the faction bases and outposts due to siege weapons not being strong enough to get through players repairing and barely making a dent on granite walls. .
problem is you dude. Despite the fact you can repair the damage, my faction found ways to confuse the enemy and break inside with just hammers. And you might want to try bombs again before asking for buffs to them.